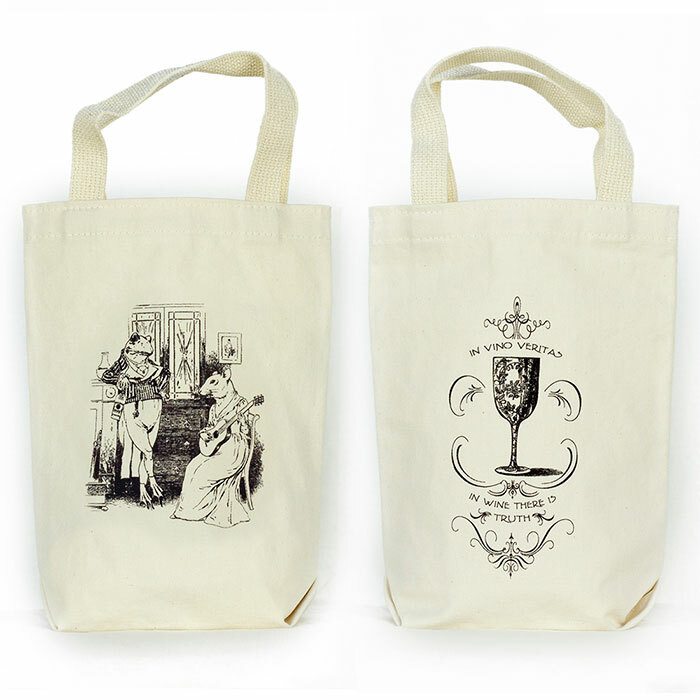 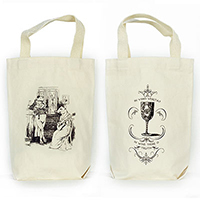 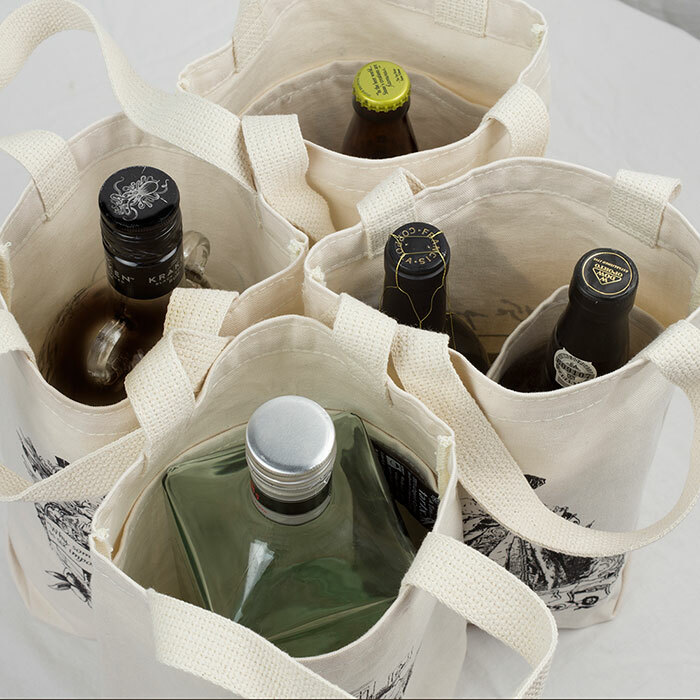 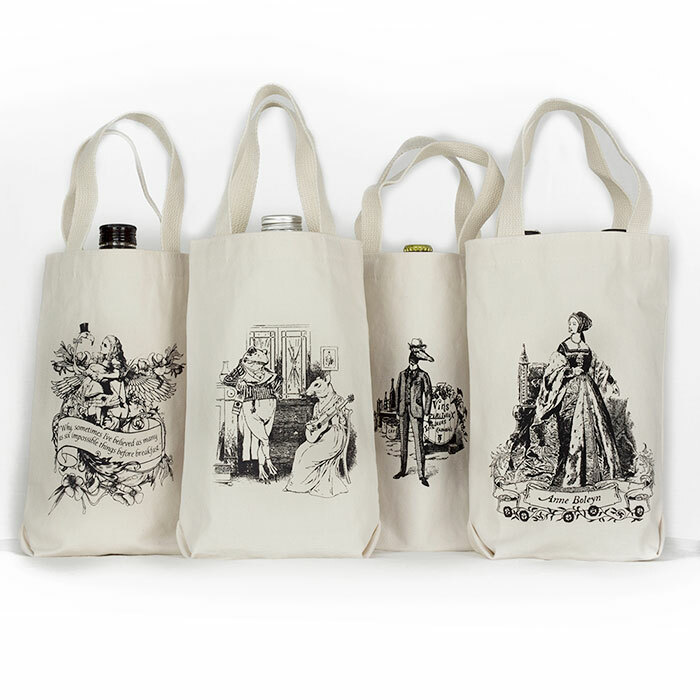 This all-purpose, liquor and wine, or use for anything tote features a design of mine of mine of a frog and mouse enjoying their cocktail hour. 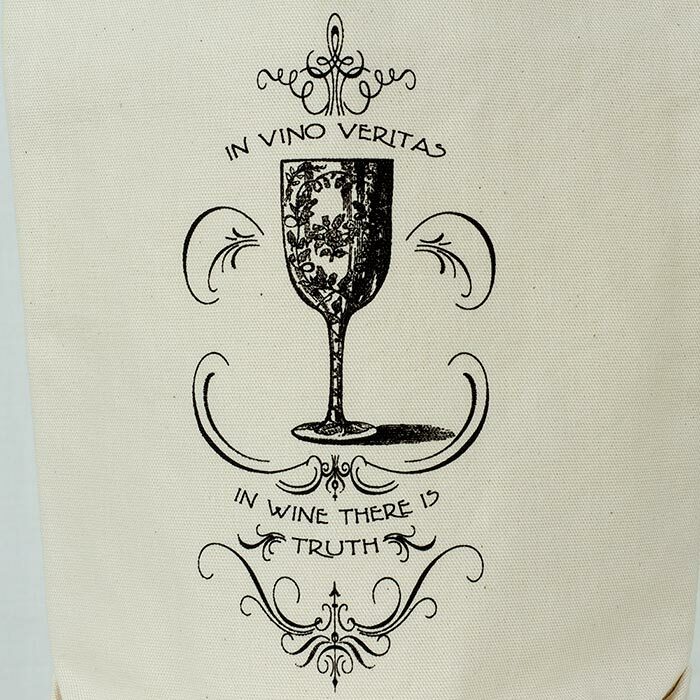 On the other side a design of mine of with the phase "Vino Veritas" the latin phrase that translate to "In Wine There is Truth". 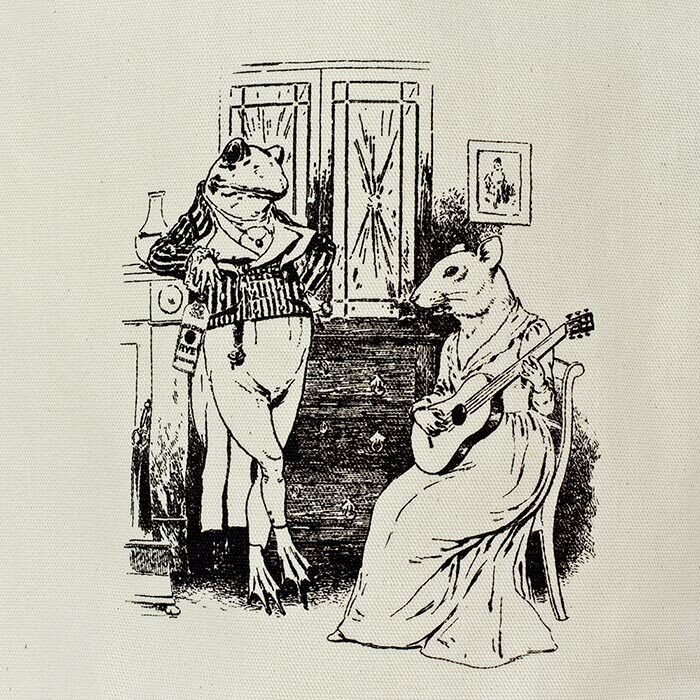 There's something absurdly improbable about a mouse and frog hanging out, sharing cocktails and music together, and yet, here there are.